Knife Case 3" x 8"
These are an alternative to the sheath for those knives that will not be used, but displayed. 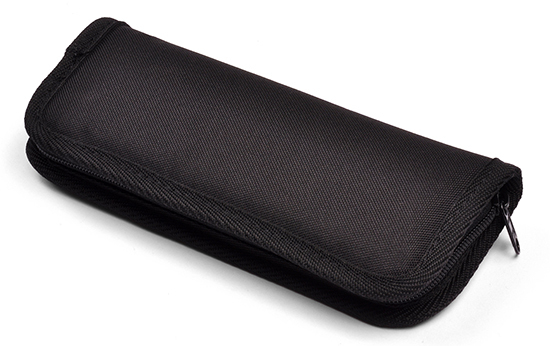 Also, use it as a carrying case that will safely protect that special knife. Made of nylon cordura with polyfoam padding, soft fabric interior and YKK nylon zipper. They are available in black exterior. Dimensions are inside measurments. Green Digital Camo Knife Case 3" x 10"
Notify me of updates to Knife Case 3" x 8"